Bit of a test day today (isn’t every day?!) Wanted to see how some new bits from Tools Today would go with the nested projects I have been working on recently. Today’s test was on a scary looking bit – but not scary because it was big and mean looking – quite the opposite. This bit is super fine, and a whole 1/16″ (1.6mm) diameter solid carbide cutting tip. It looks way too fine and fragile to use, let alone in a CNC router! However, I wanted to see if it could work, as it is currently the largest bit that I have that will cut 3mm MDF and not create oversized, and therefore sloppy joints. This bit in question is the 45190 Amana Tool straight cutter – 2 flute, and is not up/down or compression. Thought it would break in a heartbeat, but hoped not. Even so, I slowed the feed speed down to 50mm/sec. The result? Not only did it survive perfectly well, it cut really cleanly, and did not have a tendency to try to lift or move the MDF around, even when the distances between components was at a minimum. I’ll get more detailed views (and video) of the bit in action at another time. What I was left with after my testing was this fellow. The bit performed admirably – I’m sure they have a reasonably high attrition rate, but so far there have been no dramas, or casualties. Cool little guy, and probably not far off life size! 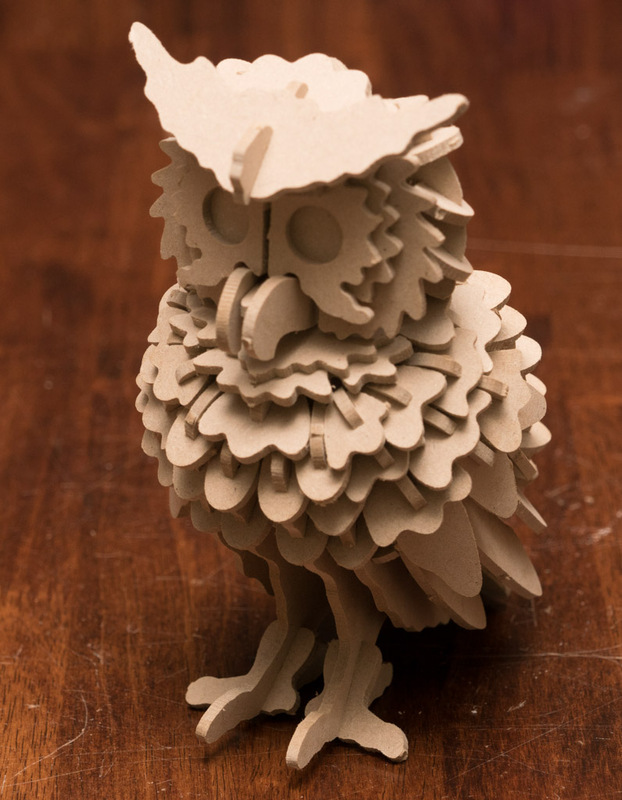 Still I might try him in 6mm MDF next! 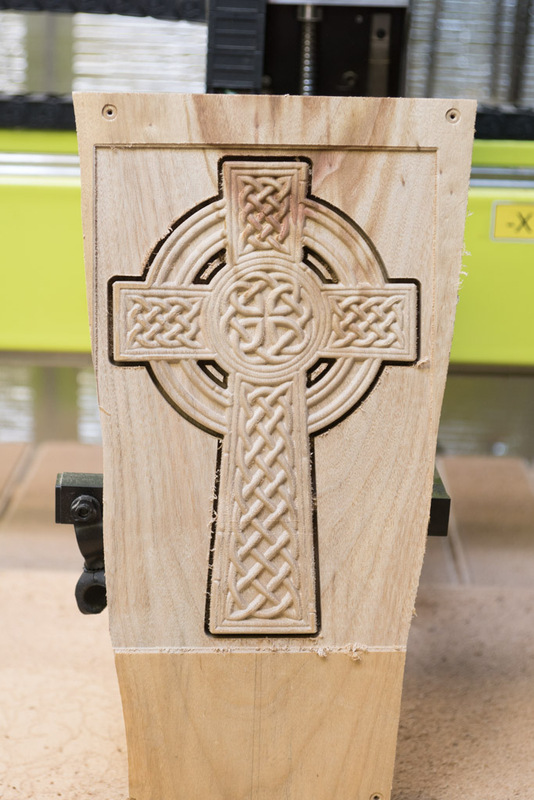 Using the same steps discussed in the last entry, I have taken a vector drawing of a Celtic Cross (created by “CarveOne” on the Vectric Forum), and produced a 3d rendering of the design. This is the first time I have really tried using multiple paths on the same object. 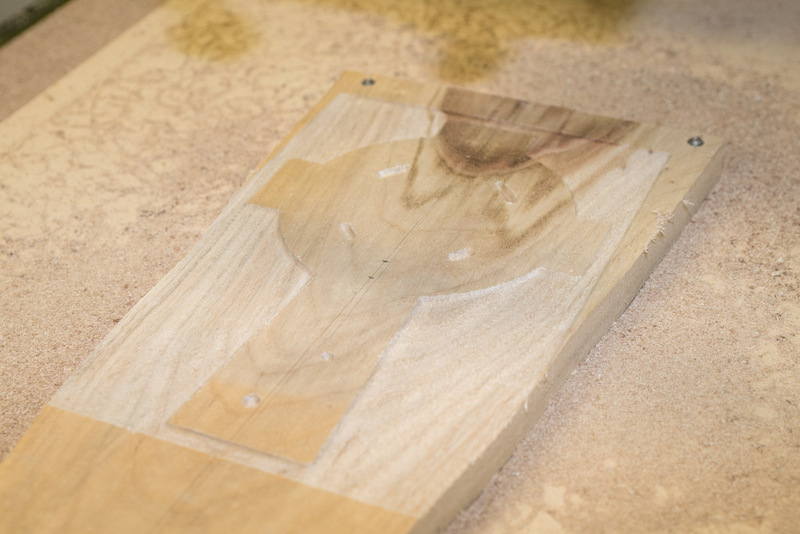 The first pass was a roughing pass – used to remove as much of the unwanted timber as possible with a strong router bit, and higher feed rates to perform the task quickly. For this I used the 46294 3D carving bit from Toolstoday.com It has a Zirconium Nitride (ZrN) ceramic coating, so this bit is also appropriate for routing in aluminium, brass, copper, cast iron and titanium alloy. It makes very short work of the camphor laurel! There wasn’t a lot of material that needed to be removed, but it is still a worthwhile step to minimise any unnecessary load on the finishing step (and router bit). 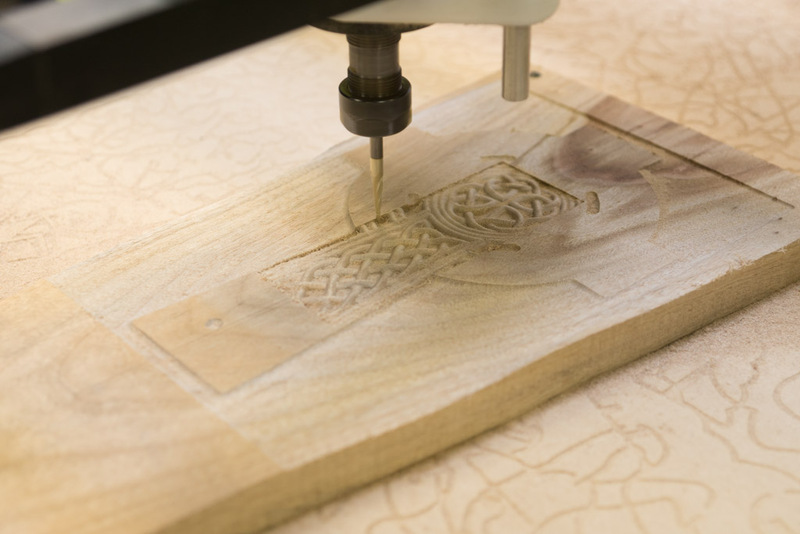 The final design was then carved using the 46282 3D carving bit. This has a 1/16″ diameter tip, so can really get into the details. Even so, there is a bit that is even finer, if even more detail is required (with a 1/32″ round nose tip). I was using these at around 80mm/sec. 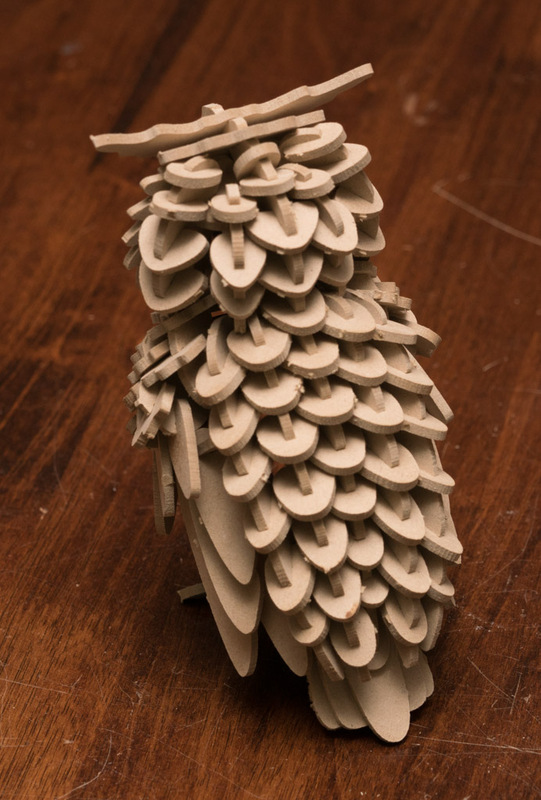 Once the design was cut, I swapped over to a solid carbide 1/8″ upcut bit to first cut around where the gaps were meant to be inside the design, and then to cut around the outside, down to about 12mm deep. For a sense of scale, the cross is about 300mm high, and 200mm wide. Straight off the router bits, there is no need for sanding where the carving bits have been. There is a bit of feathering on the outside of the cut out, but that is both a function of the timber, and insufficient router bit speed. I deliberately didn’t cut all the way through the timber, so there was no need for tabs to hold the cut pieces in place. To release the cross from the surrounding material, I turned the whole thing over, then ran a basic flattening profile on the back, taking off 2mm at a time with a surfacing cutter – using the RC2248 replaceable tip cutter. Once this cut down to the required depth, the cross was released. 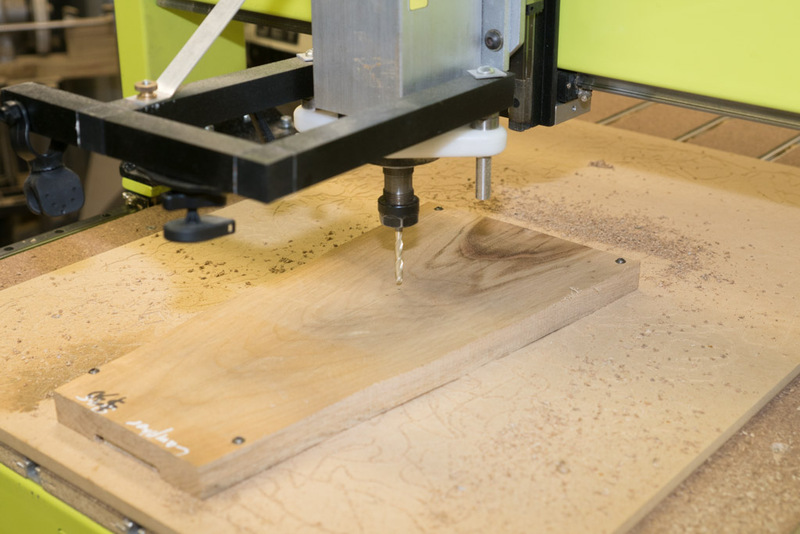 Each project presents different challenges, so I get to know more and more about how to use the CNC router effectively, and how to incorporate it as another workshop tool. I had a look back at some tests I did on the CNC Shark using 3D carving bits – the finish I am achieving here is chalk and cheese compared to my early experiments. I don’t know if I can attribute it all to the platform, but having such a solid, heavy duty CNC router certainly is not harming the finish that I can now produce! Managed to finish off the Tambour Sun Lounge this evening – went together surprisingly quickly in the end. 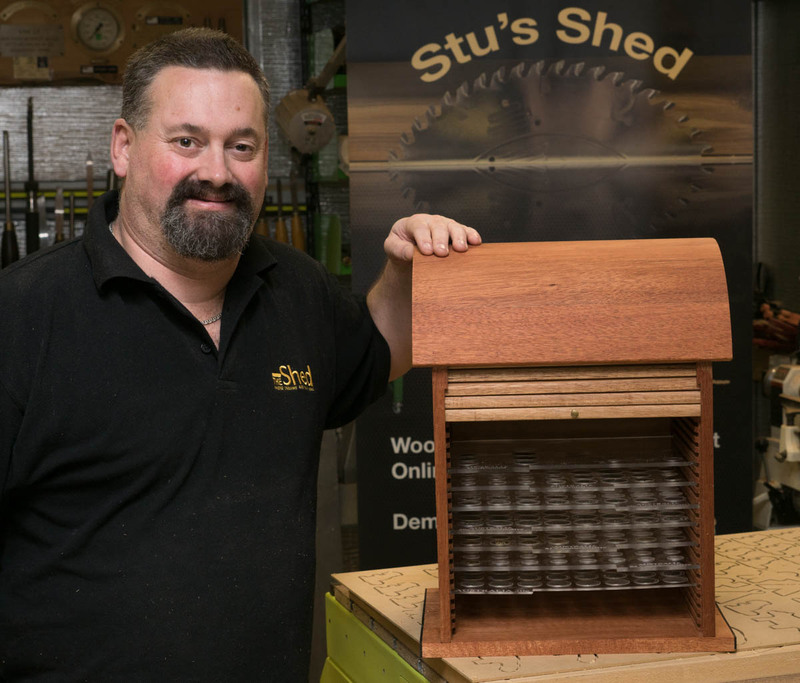 It is made up of 137 individual, interlocked tambour slats, produced using the Lonnie Bird Tambour Router Bit Set from Toolstoday.com. I made quite a few more than I needed, as I wasn’t sure how many I’d break testing the load limits, or, when I started the project, just how long a tambour I’d end up requiring. The slats I have left over can be turned into a small drinks table, and/or a lumbar support. I’ve now made over 300 tambour slats with this set, and it is still going strong. 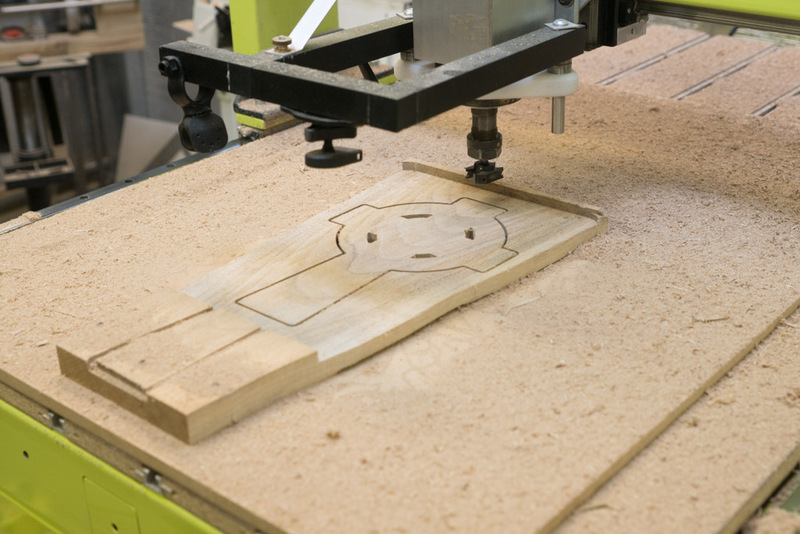 This project uses approx 90 meters of slats, so if you work that out – 2 passes with one of the router bits, and one with the other, that is 270m of routing, and about the same distance again on the tablesaw, not to mention multiple passes on the jointer and thicknesser. All in one day – over a km of timber passed through one machine or another. I slept well that night! I made the slats about as thick as I could manage, and still be able to slot them together. Granted, it would be possible to go even thicker if you were prepared to make the slot on the bottom of the slat wider. However, I tested this tambour by standing on it, on one foot. That it survived that torture test (just) demonstrates just how strong they are (and the timber obviously). So that’s it – job done. The full step by step writeup will be in the next edition of “The Shed” magazine. If you haven’t seen it yet (available in Australia and NZ, and I imagine digitally elsewhere), it is worth checking out.